Singapore is the home of many activities and adventures for tourists and natives here. There are a number of theme parks which offers wildlife adventures, under the sea experience, fantasy-filled events and more. There are also hotels which ensure comfort and feeling of security. Shopping centres are also here for clothing, accessories and souvenirs. Most of all, the best restaurants serving good food are also here in Singapore. These restaurants are worth the visit. They can give you memories of Singapore you won’t forget. Have a taste of wines which perfectly match scallops, oysters, rissotp, burrata, lamb, pork and more delicious dishes at Iggy’s restaurant. 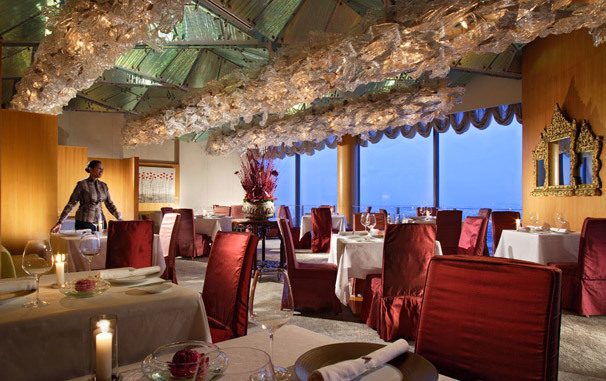 You will surely love the dishes here, for it is hailed as one of the best restaurants in Asia. It serves good dishes in different parts of Asia, and one can also visit in place here in Singapore. In another restaurant here, in Les Amis Singapore, promises a redefinition of dining. This restaurant offers gastronomic European dishes like different kinds of salads, caviars and different French dishes. There are also a wide range of wine selection from Italian wines, Portugese wines, wines from different countries, rose wines and more. Customers can freely look into this restaurants winery to have their pick. Reservations can be made in advance in Les Amis dining. World class French cuisine can be tasted in Jaan Restaurant which is also hailed as one of the best restaurants in Asia. They have roasted venison loin and chestnut ravioli for lunch. They serve crab and obsiblue prawn, miyazaki beef and grilled atlantic brill’tournedos.’ Vegetarians will also find Jaan friendly as they have Jardin Gourmand Menu which lists different salad and vegetarian dishes. All these different dishes are perfect with their wines. Jaan restaurant boasts their 500 different wine collections which are gathered from all over the world. Another Singapore restaurant that boasts wines is Tiipling’s Bar. Wines from all over the world are served in this restaurant. Australian wine, New Zealand wine, Italian wine and more are here. These wines are served with their best dishes like wagyu beef cheek, confit ocean trout and risotto.